Men and women behind bars in the U.S.—at great risk to their personal safety—began a national prison strike to protest inhumane living conditions, brutal and abusive prison guards and what they contend is modern-day slavery. Representatives of the striking prisoners said inmates in institutions across 17 states are taking part in the strike action by refusing to work anywhere in prison buildings, kitchens, laundries and on prison grounds. Palestinian inmates have expressed solidarity and about 300 prisoners in Nova Scotia, Canada, joined the strike. The 19 days of peaceful protest was organized largely by prisoners themselves, said a spokesman for Jailhouse Lawyers Speak (JLS). 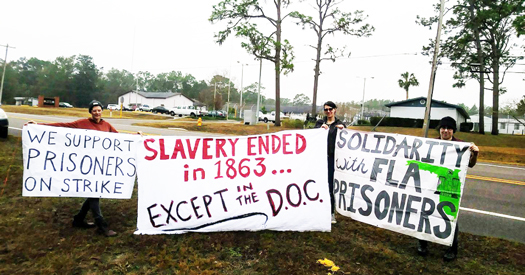 The strike which started Aug. 21 is organized by an abolitionist coalition that includes Jailhouse Lawyers Speak, the Incarcerated Workers Organizing Committee (IWOC), the Fire Inside Collective, Millions for Prisoners and the Free Alabama Movement. Jailhouse Lawyers Speak activists began preparing the action in April after prison officials in South Carolina put rival gangs in the same dormitory which ignited an outbreak of violence leaving seven inmates dead. 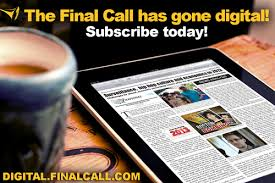 (See Final Call Vol. 37 No. 40). “We want to note that although there aren’t widespread reports of actions coming out of prisons, people need to understand that the tactics being used in this strike are not always visible,” said Jared Ware, during an August 22 press conference call. “Prisoners are boycotting commissaries, they are engaging in hunger strikes which can take days for the state to acknowledge, and they will be engaging in sit-ins and work strikes which are not always reported to the outside. As we saw in 2016, departments of corrections are not reliable sources of information for these actions and will deny them and seek to repress those who are engaged in them. Mr. Ware, a freelance journalist who asked to be part of a team that coordinated with the press, said inmates organized nationally and carefully crafted the demands, strategically whittling them down from 35 to 10. The decision to strike, he said, was prompted by the deadly circumstances at South Carolina’s Lee Correctional Center, an understanding of how the state brings about the conditions of violence like that, and the types of changes that are necessary to prevent a repetition of that sort of violence. “This is a human rights campaign and each of these demands should be understood through a human rights lens,” inmate representatives said. Although the United States represents one-fifth of the world’s population, 2.3 million people are incarcerated in America, the highest in the world. Estimates are that about 60 percent of that population is Black or Latino. Those numbers could ratchet up with Attorney General Jeff Sessions, at the behest of President Donald Trump, relaunching the failed “War on Drugs” and giving state attorneys and law enforcement the green light to crack down on criminal suspects even for non-violent crimes. Prison reform advocates and critics of the criminal justice system note that the Prison-Industrial Complex is a multi-billion dollar enterprise which relies heavily on prison labor to work and produce goods and services for major businesses and corporations including Whole Foods, Starbucks, McDonalds, WalMart, Victoria’s Secret and AT&T. The Prison Industrial Complex is a more than $2 billion enterprise, but many inmates literally work for pennies and others labor for free, said Dr. Kim Wilson. Dr. Wilson cited examples nationally of the work inmates are forced to do. 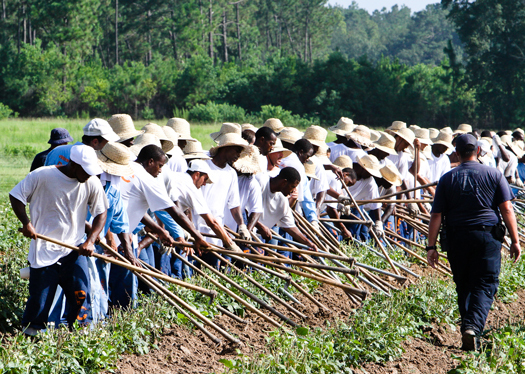 In Angola Prison in Louisiana—often characterized as perhaps the most brutal prisons in the United States— inmates train and breed thoroughbreds and others pick cotton on the farm. Inmates in other institutions work on pepper and strawberry farms, she said. 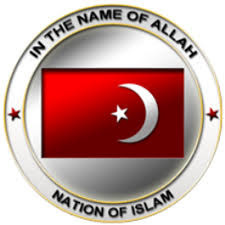 Abdullah Muhammad, the Nation of Islam’s National Prison Reform Student Minister, said he hopes the strikes don’t end as tragically as it did at Attica in 1971 when prison guards killed a number of inmates. He added that he doubts how successful the strike will be because of the traditional recalcitrance of prison officials. “I don’t think they’ll get all they’re asking for, and what they’re asking for will take money,” he said of the strikers. “These people don’t have it in them to raise the money and change the environment. They may get a program—in time. Student Min. Muhammad said he’s struck by the symbolism surrounding the protests. 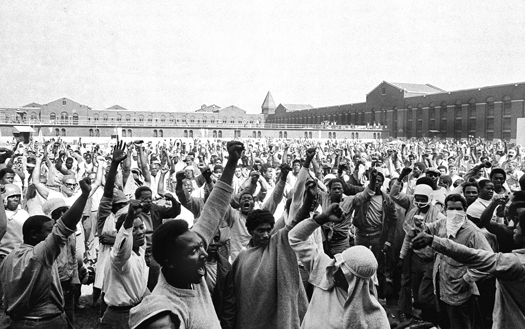 Aug. 21 is the 47th anniversary of the murder of author, activist and Black Panther leader George Jackson, and Sept. 9 also marks the 47th anniversary of the bloody Attica prison uprising in upstate New York which is when the current strike is set to end. “The Rev. 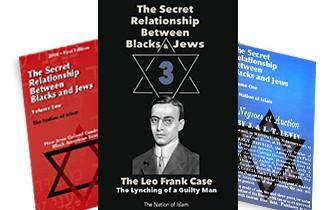 Dr. Martin Luther King, Jr., had a program that we (Nation of Islam) executed where from October to Jan 1, no money was spent in White businesses. A lot of people lost jobs, businesses suffered. That should be the program they implement,” said Student Min. Muhammad. 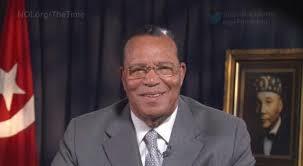 The civil rights leader before his assassination suggested that Black people should “redistribute the pain” to White America through economic withdrawal in the demand for justice, a call reintroduced by the Honorable Minister Louis Farrakhan in 2015 leading up to the 20th anniversary of the Million Man March. At the end of the day, though, Student Min. 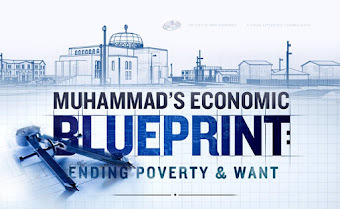 Muhammad explained, Blacks have no choice but to strike out and form their own nation. “We need our own land and territory,” he asserted. Courtney Stewart is a prison reform advocate who was released from prison in 1985 and chairs the National Reentry Network for Returning Citizens in Washington, D.C. In his opinion, the prisoners who decided to strike had no choice. 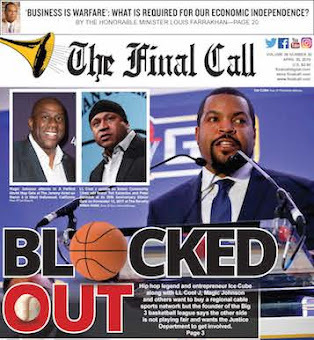 “The thing is that these people, the corporations who make up the Prison Industrial Complex, have been getting away with murder for a long time,” Mr. Stewart told a Final Call reporter. “They’ve been able to sustain the Prison Industrial Complex and they have ruined generations and generations of the Black community. It’s been so devastating, and we still haven’t recovered. Mr. Stewart is not alone in the belief that the Prison Industrial Complex has to be dismantled and Dr. Wilson agrees. “I’m a prison abolitionist. 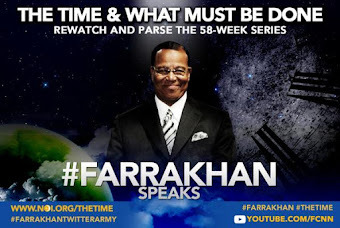 I see prisons as part and parcel of the problem,” said Dr. Wilson, co-host of a podcast called “Beyond Prisons” with Jared Ware. “I don’t know how they (prison guards) sleep at night. But those individual people are part of a larger system. I’m more concerned with the system as a whole. Dr. Heather Ann Thompson has written extensively on the history of policing, mass incarceration and the current criminal justice system. She warned that the unrest, pushback and uprisings against the harsh conditions in America’s prisons will continue. “But we have a whole generation of children for whom it’s normal to be pulled over, be arrested and shuttled into the system. We have been in a catastrophic prison crisis for decades now. And conditions have gotten even worse. South Carolina was a wake-up call for people,” she said. Dr. Thompson said she’s a White woman who grew up in Detroit and therefore, “My perspective is different. The situation is perfectly tenable as long as other people are being affected but when it becomes untenable is where White kids get caught up in the system. I give lectures and talks all over and the thing is that once they (Whites) really know what’s going on, they are appalled. They don’t know. “Authorities cannot lock up 2.5 million people and have the trauma we have and it go on indefinitely. The incarcerated will continue to protest and people will continue to seek release,” she explained. A strike organizer echoed Dr. Thompson’s warning. The inmate spoke with freelance journalist Brian Sonenstein, publishing editor at ShadowProof and a columnist at Prison Protest, in a story published in ShadowProof. “No matter how many of these people they employ, it’s not going to take away from the issues and the problems of the violence that’s occurring inside the prisons,” said the inmate, a member of Jailhouse Lawyers Speak (JLS), which is a network of incarcerated self-educated legal advocates. “What we’re dealing with consistently is prisoncrats refusing to accept responsibility, accountability,” said the inmate, who, fearing retaliation spoke on the condition of anonymity. “Because [they] created these conditions, these are the results. Instead, what they try to do is deny any responsibility, any liability, and say, we’re going to keep the same conditions while trying to force people to be subjected to those conditions. And how do we do that? We hire more employees.